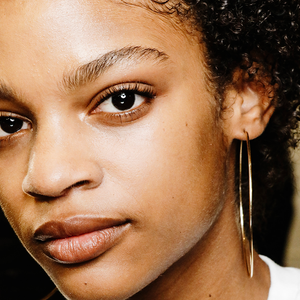 Accentuating brown eyes can often prove to be much more difficult than it needs to be. 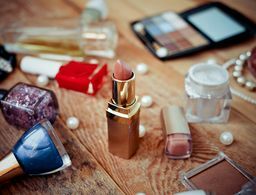 While those with chocolate-colored eyes (myself included) can often believe it’s a tall task, experts agree that brown-eyed beauties have the most freedom when it comes to eye shadow, as the color is actually a mix of all of the primary colors, making options for making them pop endless. The next time you want to play up your eyes, look no further than these showstopping shades that pair perfectly with your eyes. 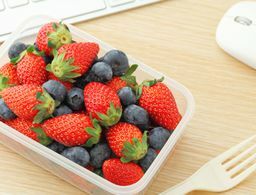 “I love a creamy burgundy or mulberry, which is a deep and rich purpley-red. It can be incredible around brown eyes, especially those with green and/or yellow tones deep within," says celebrity makeup artist Katey Denno, explaining that the red and purple base tones contrast so well with green and yellow hues in brown eyes and make those colors stand out from the background. 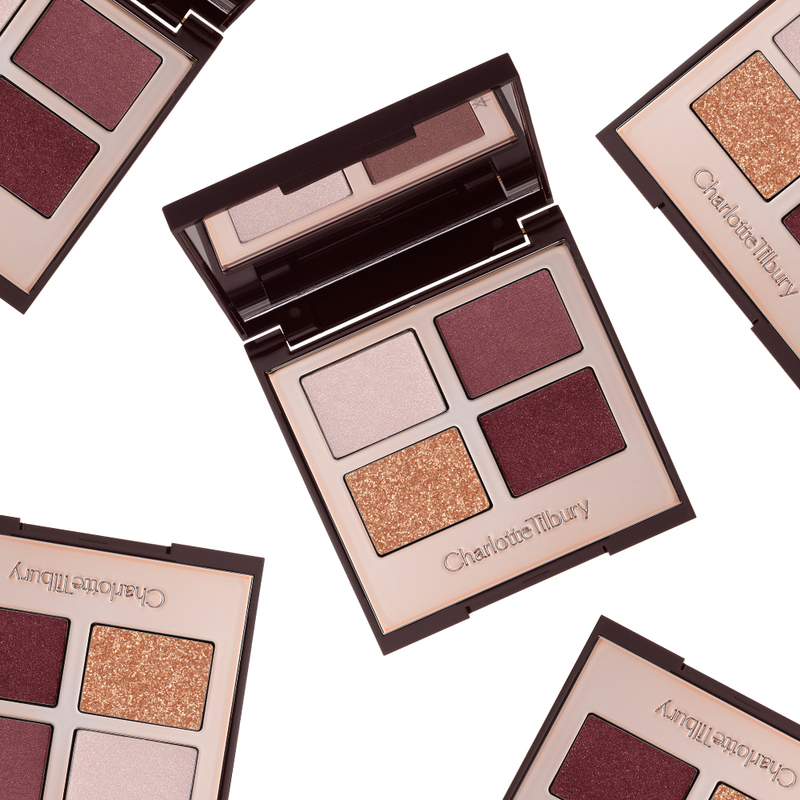 Try Charlotte Tilbury’s Luxury Palette in Vintage Vamp ($53) to create buildable shadow looks that range from “desk to disco,” all with a deep burgundy tone at the core. 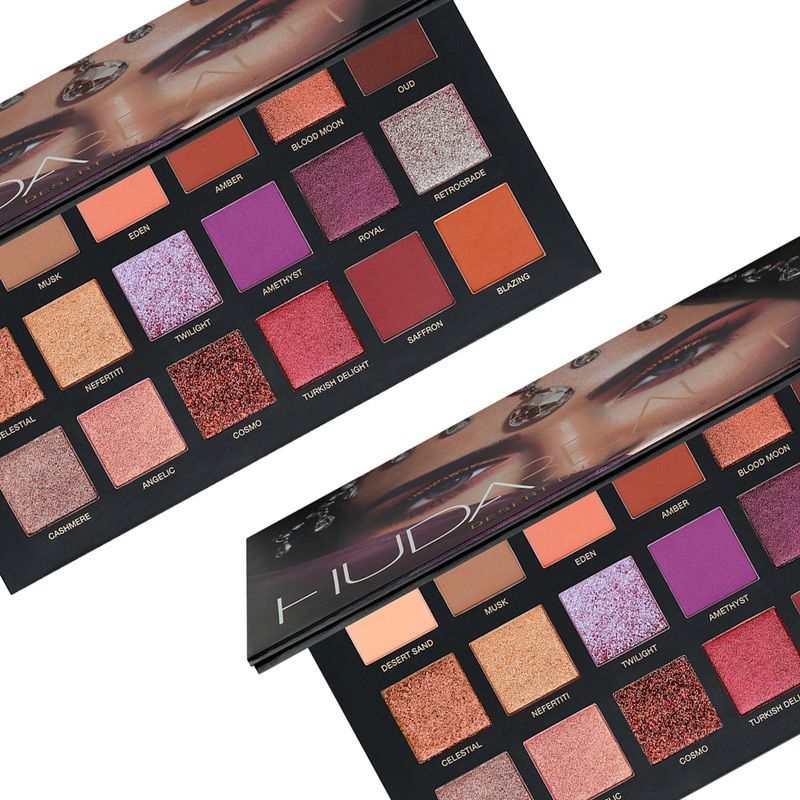 “Having brown eyes myself, I am obsessed with combining Oud and Musk (two brown shades) from the Desert Dusk palette to get a more natural smoky look,” Huda Kattan, CEO and founder of Huda Beauty, says of her go-to shades to accentuate the eyes. As for a finishing touch on a brown smoky eye, Kattan says a metallic shade on the lid brings the look to life. Find both of these shades—plus every other shade you might need to create the most showstopping look—in her Desert Dusk palette ($65). Be it an army green or a dark moss hue, green tones always complement brown eyes by bringing out the green found in the base of your eye color (it also makes hazel eyes appear even more hazel). 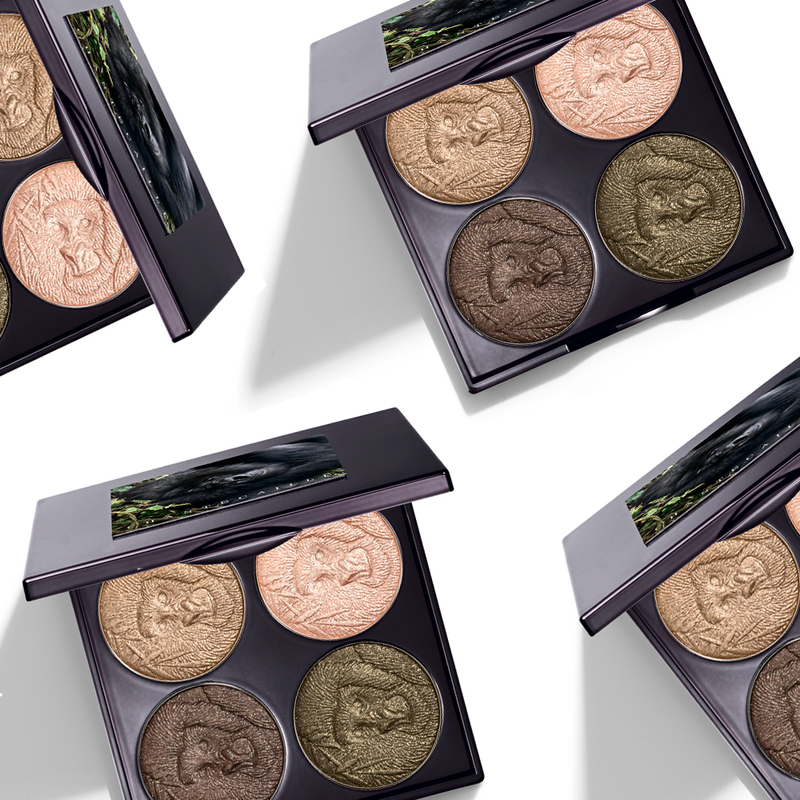 Chantecaille’s Save the Forest Palette ($85) houses a luxe, gold-flecked green and and three other complementing hues to make your eyes the centerpiece of any look. 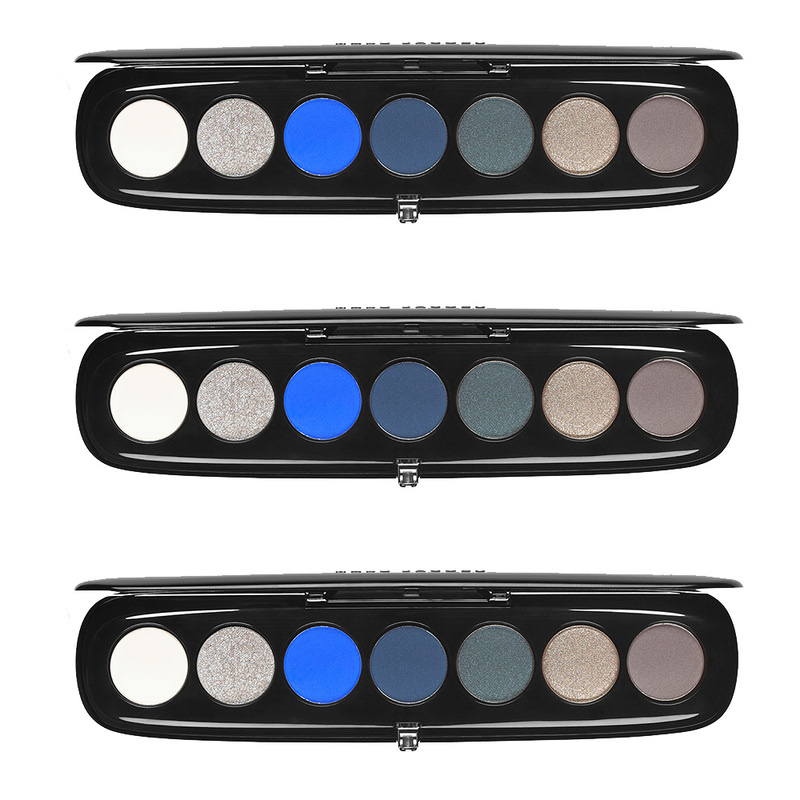 Many makeup artists’ favorite contrast against brown eyes are created with a shade of blue because its cool tone looks punchy against a warm brown. Blue also makes the whites of your eyes look brighter, which is an easy way to look more awake. If you’re opting for a jewel tone like this one, keep the color as close to your lash line as possible (then extend to your liking). Try Marc Jacobs Eye-Conic Multi-Finish Eyeshadow Palette in Smartorial 760 ($49), which includes an icy teal, head-turning cobalt and everything in between. 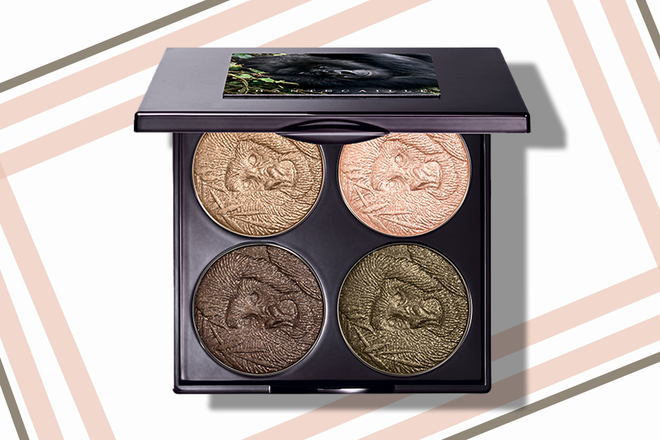 Metallic gold hues instantly pick up the flecks of gold and copper found within your brown eyes and makes them glisten. 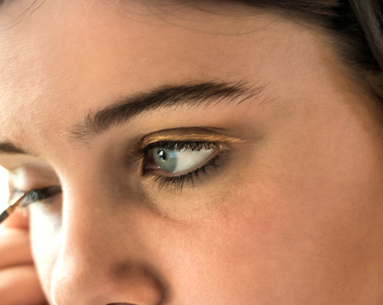 Plus, if your eyes have any trace of hazel in them, swiping on this color will let you know. 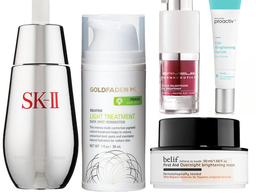 “The contrast of gold or champagne shades against the warmth of brown eyes just makes the eye color pop,” Kattan says. 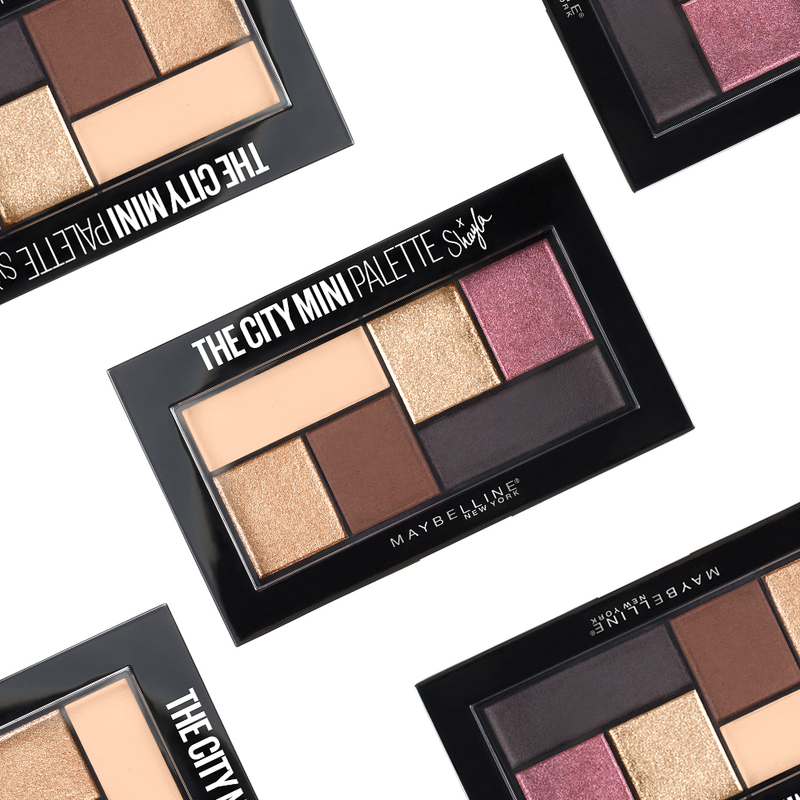 “I am honestly obsessed with it.” We like The City Mini Palette x Shayla ($10) from Maybelline New York, which two different tones of gold—one with a copper base and another cool-toned gold—plus four complementing shades. 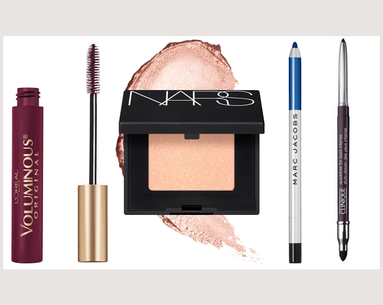 Any shade of purple (think lavender to a deep plum) works well with brown eyes. Because tones of purple can range from light to deep, try using an eggplant-tone when you’d usually use black (like with liner or mascara) to showcase your eyes. 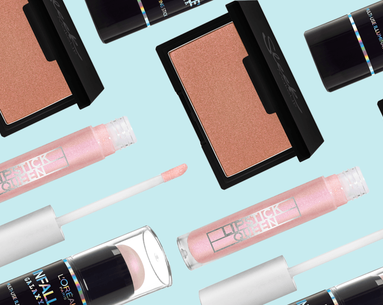 If bright liners intimidate you, an eye shadow in the same color family also does the trick. 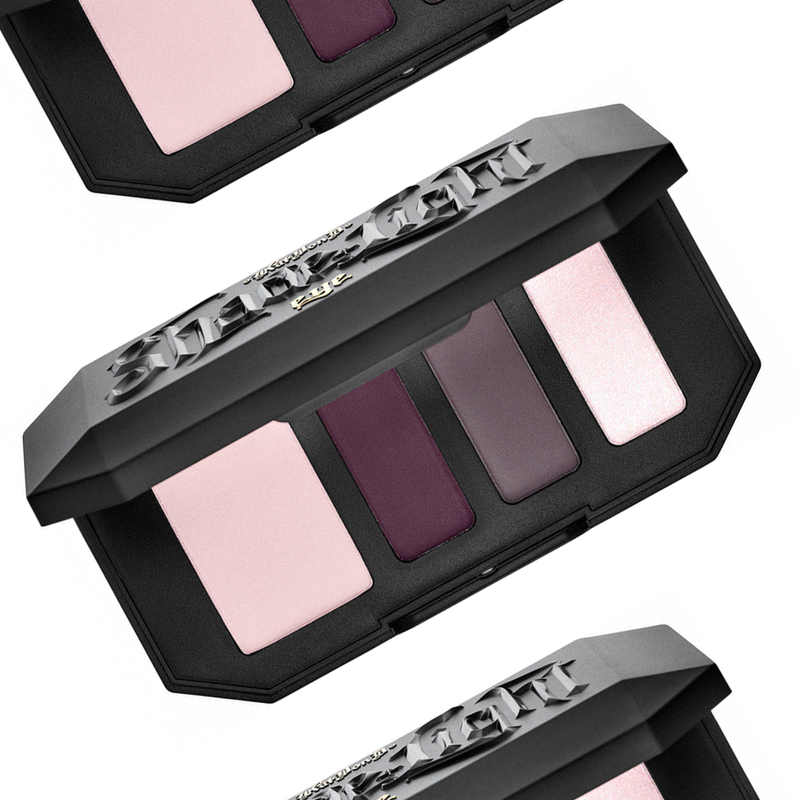 The shadows in Kat Von D Shade + Light Eye Contour Quad in Plum ($22) range from an almost-white lavender to a deep eggplant so all the hues you need are in one place. Interestingly, gray and silver tones can create the illusion of larger eyes if you have dark brown eyes. “I love to play with grays around brown eyes—particularly mixed together and pressed into lash lines and lids,” says Denno. 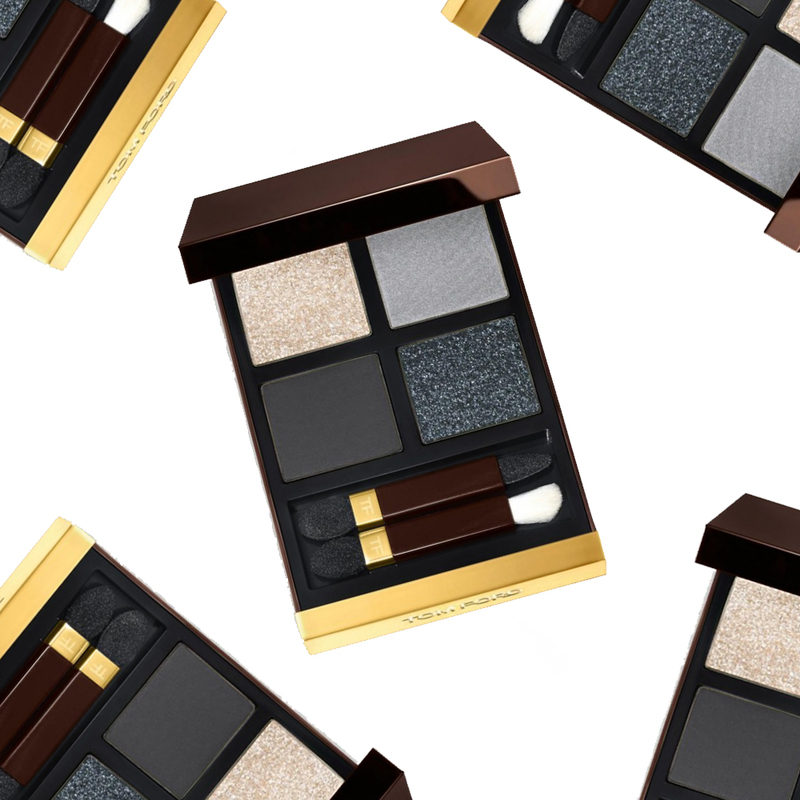 Tom Ford’s Titanium Smoke Eye Quad ($85) includes a high-shine charcoal, matte gray and deep black—plus a shimmery rose gold for the inner corners of the eyes and brow bone.